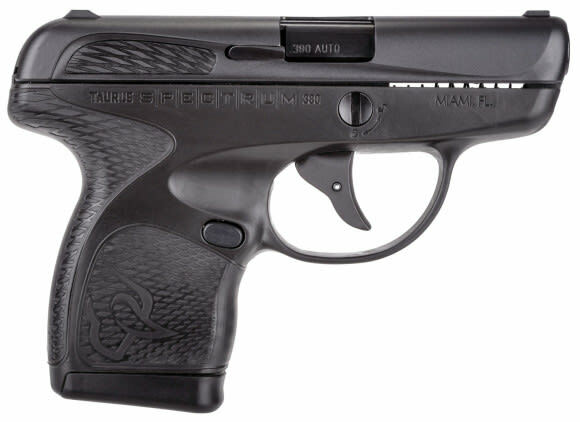 Taurus' Spectrum was desgined for concealed carry. This subcompact pistol weighs a hair over 10 ounces and carries six rounds in a flush-fitting magazine. The included extended magazine gives you an additional round and a little more surface area to the grip. 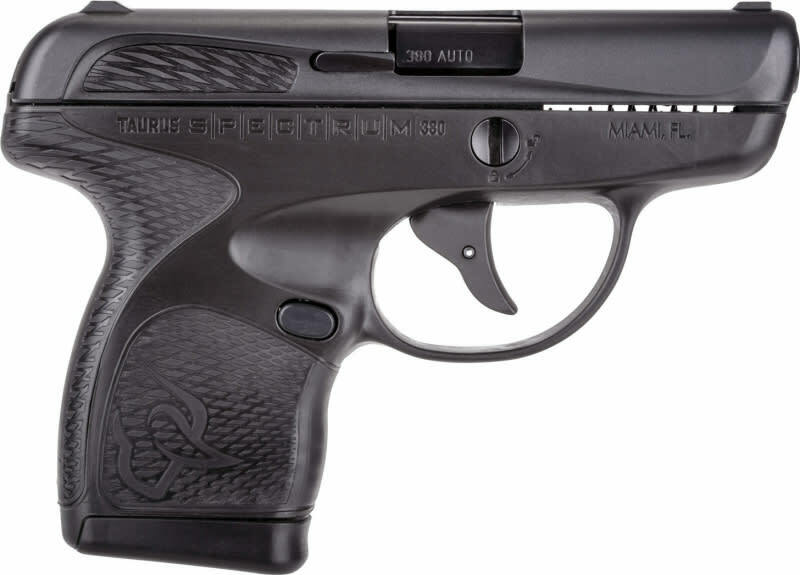 It has low profile, fixed sights, a loaded chamber indicator, and an internal lock. A distinctive feature of the Spectrum is the polymer color accents located on the slide and grip.